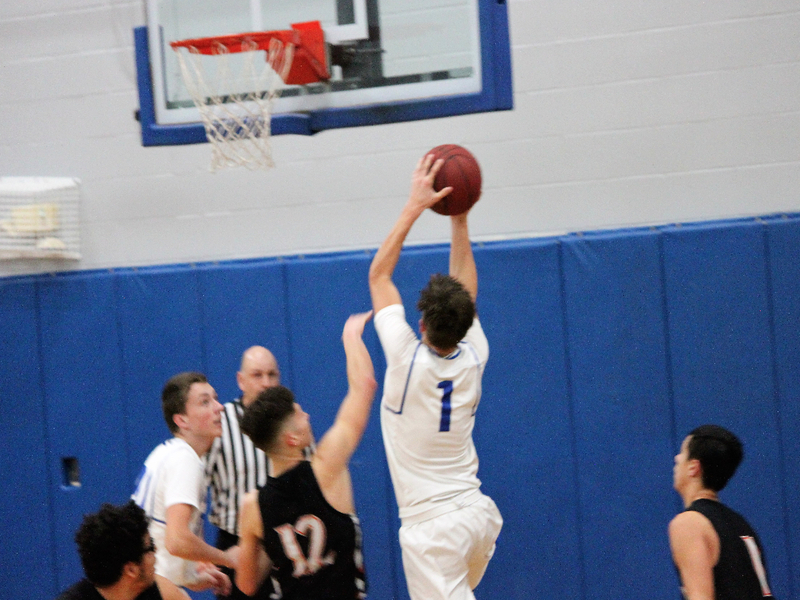 Manson hosted Soap Lake Tuesday night in a double-header. The Trojans played a great defensive game to shut down Soap Lake’s scoring potential. Manson pulled away early en route to an eventual 70-38 victory. Offensively Manson shared the ball well, leading to three players in double figures. They were led by Jake Lodwig with 17, Nick Strecker with 13 and Avery Thompson with 12. Manson will host Bridgeport on Friday. Kendra Farnsworth photo from a previous game.